The Thai Military government has used its unlimited authority, known as article 44, against the Dhammakaya temple. Article 44 allows the Junta to do anything it wants, with no restrictions or limitations. 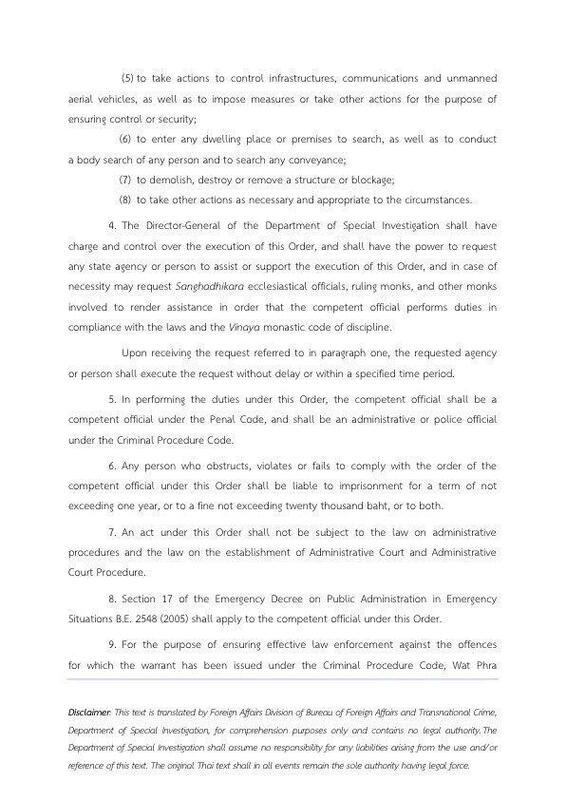 Here is a summary of the order issued via article 44 as well as a translation of the order in English. Older PostHas the Office of the Attorney General formally charged Ven. Dhammajayo?